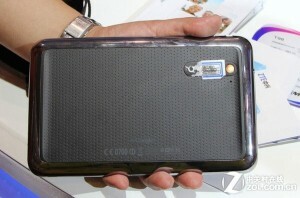 ZTE T98 is a new tablet that was found in China and packs it all. Not to mention that it packs a NVIDIA Tegra 3 as part of its hardware on an Android 3.2 tablet. This ZTE T98 comes with a 7 inch screen with a resolution of 1280 X 800. It has 1GB of RAM and 16GB of storage. Additionally you get a front camera that has 2MP resolution and a 5MP rear camera. The battery is 4000 mAh. At 11.5mm thick the ZTE is light and easy to handle. 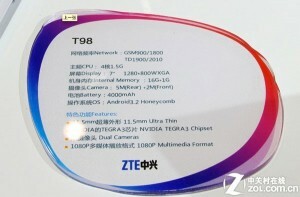 The ZTE T98 will support wireless connectivity with GSM900/1800 and China Mobile TD 1900/2010. 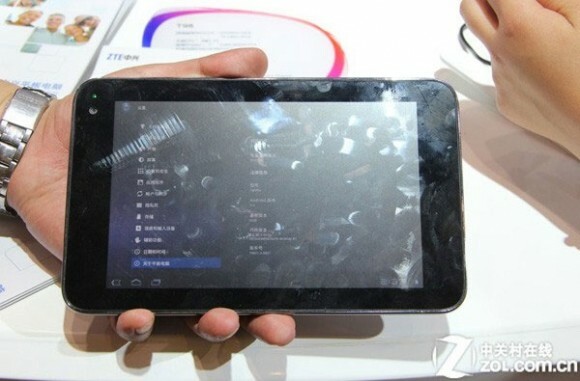 It is believed that the tablet will first launch in Hong Kong and Taiwan. With this tablet you also get 1080p video output.